As 2014 draws to close, we have a lot of blessings to count here at the Literacy Council. As we watched the fire burn on that fateful day in May all we hoped for was that everyone was safe and sound. Then the reality of what was lost set in and we began to plan for the future with great hope. Today we have an amazing new learning center, new adult programs, new students, new tutors, and new friends in the community who have rallied around our mission, turning something potentially devastating into a blessing. Friday we officially take possession of our renovated home on First Avenue. 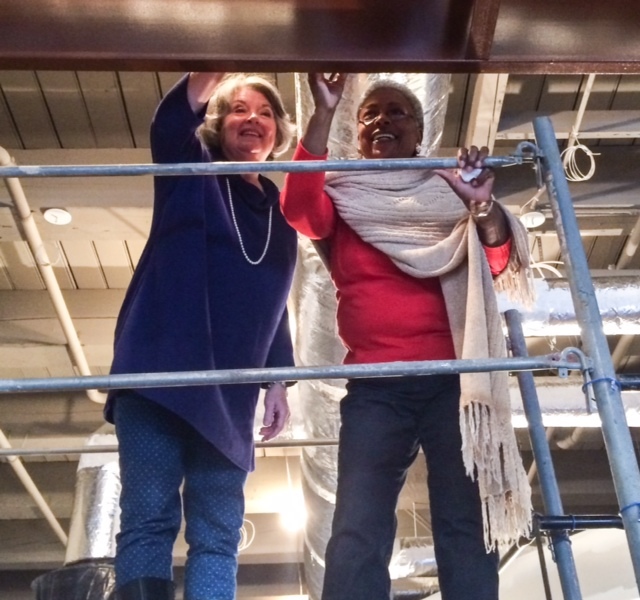 Thanks to the amazing teamwork of architects Goodwyn Mills Cawood and contractors Brasfield & Gorrie, we are ahead of schedule and truly “home for the holidays.” We are excited to move back into our office and thrilled with the possibilities that await us there. Our classes will be closed through Christmas and New Years to accommodate the move, but we will reopen on January 12. Our adult basic literacy classes will start up that week, followed by our new GED classes the last week of the month. We will also be training new tutors in our shiny new training facility. We have even more programs in the works: financial literacy classes, health literacy programs, and a brand new family approach to literacy called the Campaign for Grade Level Reading. 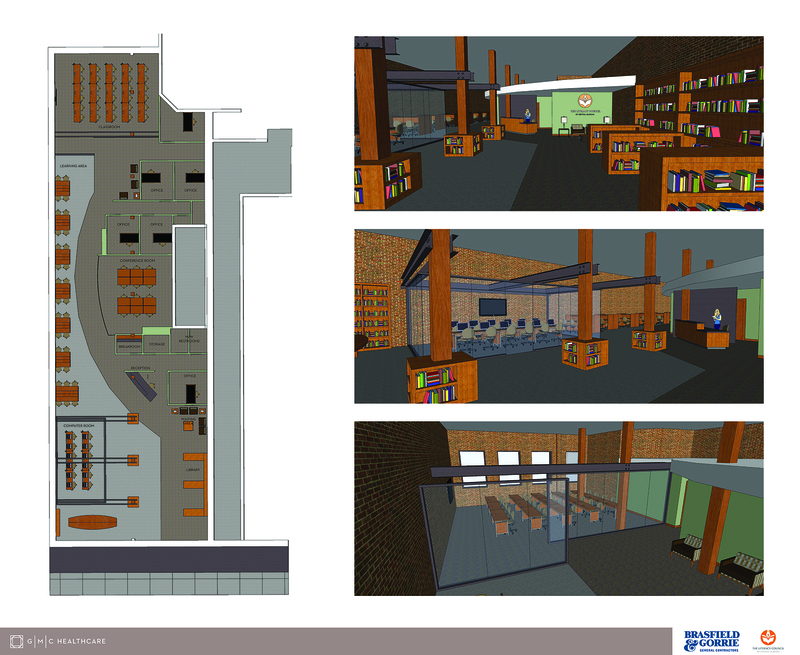 So many wonderful things are happening at the Literacy Council and we can’t wait to show off our new digs! Keep an eye on this blog for news about the official Grand Opening and all the exciting education going on at the Literacy Council Life-long Learning Center! When we count our blessings this Thanksgiving, the TLC team has much for which to be grateful. 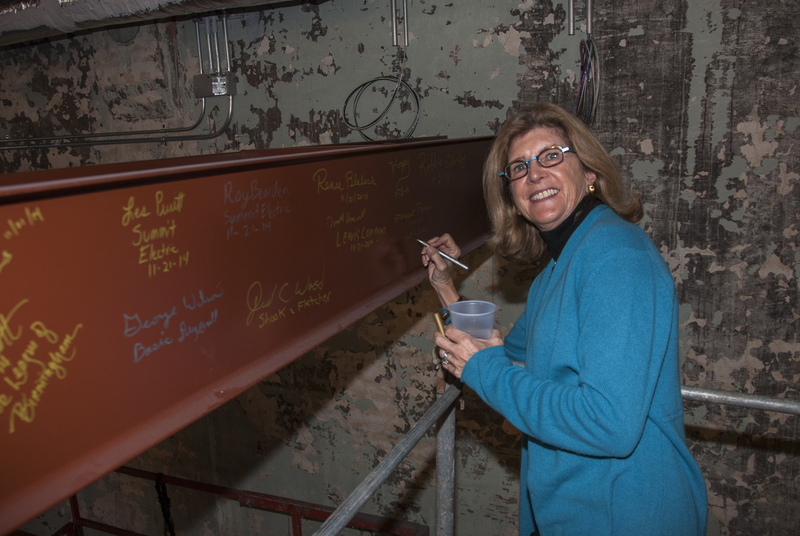 This past Friday we celebrated the “topping off” of the new Center for Life Long Learning. 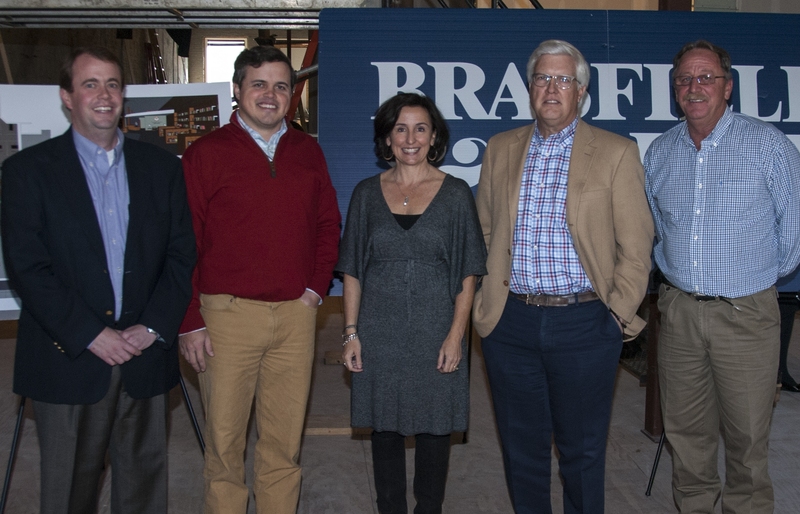 We gathered with our donors, tutors, learners, the crews from Brasfield & Gorrie and Goodwyn Mills Cawood, the board, and junior board – everyone who came together and worked hard over the last six months to rebuild The Literacy Council. I am grateful for each and every one of those people. As I looked out over the progress I could see our future. It’s a future we’ve dreamed about for many years. I could see the computers where a student would sit and learn a new skill. I could see each of the study carrels filled with tutors and learners working together. I could see that this will be a place where people will come together to change their lives for the better. For a brief moment in May, it seemed that all was lost. Where would we go? What would we do? How would our learners continue their progress? But that was just a moment. This amazing team rallied, the community stepped up, friends of TLC gathered around, and we rolled up our sleeves and went to work. Now in just a few more weeks we will move back into our new and improved home at 2301 1st Avenue North. We have so much to be thankful for this year. On behalf of everyone at The Literacy Council, I want to say thank you and hope that you and your families have a wonderful Thanksgiving. PROGRESS! The Literacy Council Center for Life Long Learning is beginning to take shape. From the destruction, to the first renderings, to the cleaned out space – we’ve shown you the various stages of our new beginning. We’re very excited about bringing you this latest update. I know it’s hard to tell exactly what is taking shape from looking at these photos, but trust me – it’s going to be awesome! The steel beams in the photo on the left will be the foundation for our GED and Life Skills Learning Lab. Perfect, right? A strong foundation for a space we believe will help build a strong foundation in the lives of those we serve. This state-of-the-art computer lab will provide the technology our learners need to succeed in the 21st century and will host our new GED classes, as well as programming in financial literacy and life skills. The photo on the right looks toward the back of the space. 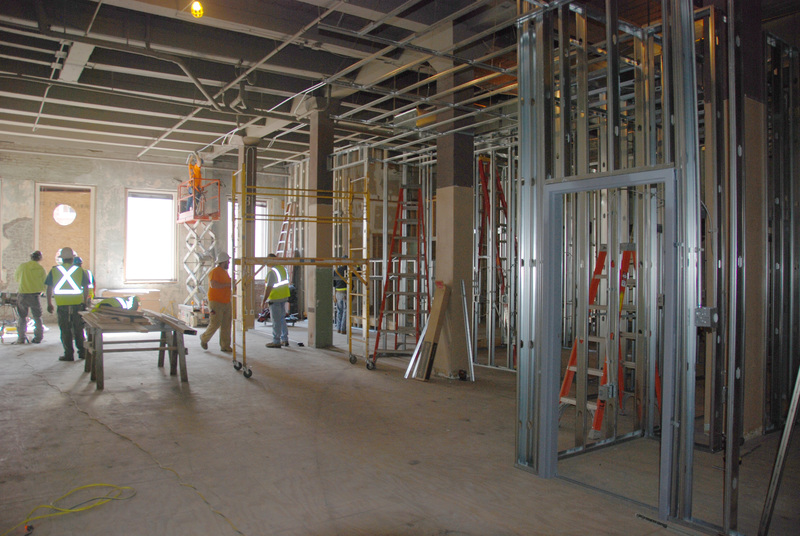 The left side of the photo is where the new study carrels will be erected for the Word Lab and Reading Workshop. This is the core space for our mission – the heart of our new learning center where tutors and learners will be able to work one-on-one or in small groups. The space at the back of the photo is where the TLC Classroom will be located. This is a multi-use room where we will conduct tutor orientation and training, professional development seminars, board meetings, and gatherings for our tutors, learners, and Literacy Providers Network. This classroom will also be available for community use. This is just the start. We’ll continue to share our progress as our new home comes together. After all, you all made it possible! And for that we are grateful! Is there anything more exciting than a blank page? The possibilities of what you can create are endless. It’s the opportunity to write a new story. That’s exactly what you see in the photo above. It looks like an empty building but what you can’t see are all the possibilities and the new story we’re writing on this blank page. We’re pleased to announce that reconstruction officially started yesterday on the new Literacy Council Center for Life Long Learning and at the beginning of next year a new chapter opens for our agency. When our offices were destroyed in May of this year we made the decision to turn this challenge into an opportunity…and we have! With the support of individual and corporate donors, and foundations we raised the money to fund reconstruction of a new space that will meet our specific goals and better serve our learners, plus a whole new population of those in need. In this new space the area dedicated to learning will triple in size. More private study carrels, a large multi-use classroom and the room we’re most excited about, the GED and Life Skills Learning Lab. Beginning in 2015 we will offer GED classes. Over the years we have received many calls from people in our service area looking for GED classes, and after careful research and conversations with post-secondary education leaders in our community, we made the decision to move forward. You’ll hear more about this exciting new program from TLC very soon. The next few months will be an exciting time for Team TLC as our new home takes shape. We will provide you with regular updates and photos of our progress. After all, we couldn’t do it without you! Take a look at the future of literacy in Birmingham! 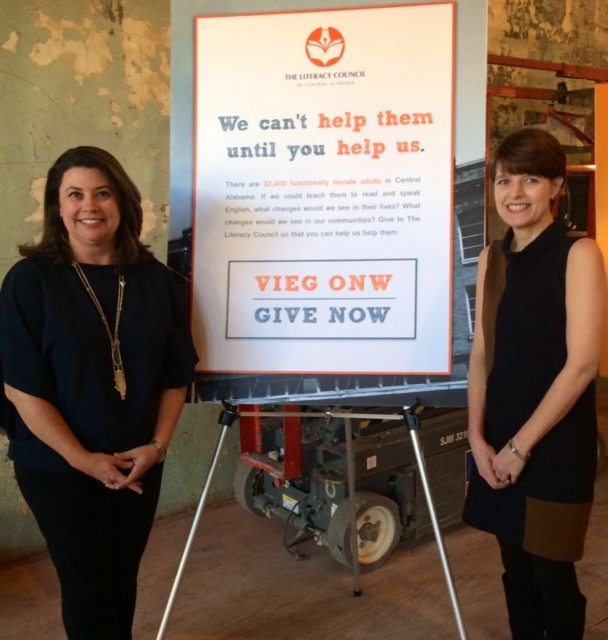 Yesterday our friends at REV Birmingham helped us kick off our construction project for the new Literacy Council Life-Long Learning Center with a special Hard Hat Tour of the space. Steve Alby, our architect from Goodwyn Mills Cawood, unveiled the drawings for the 8000 sq.ft. 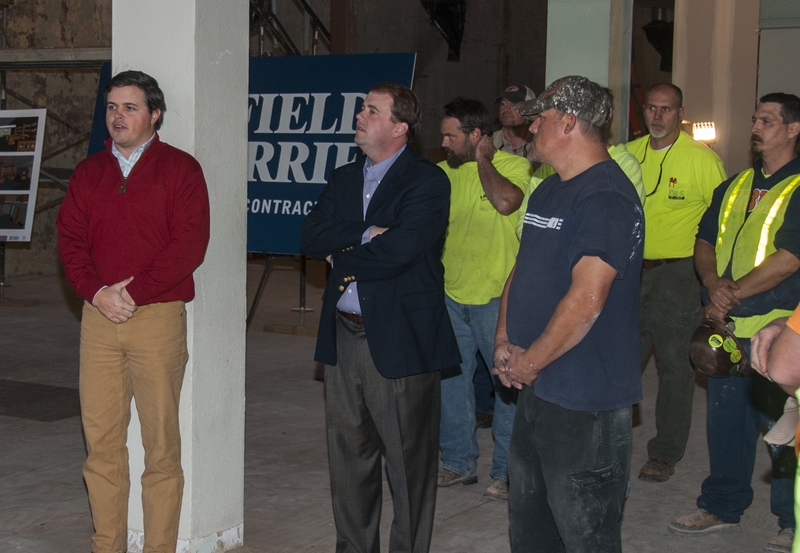 office, and Robby Hayes from Brasfield and Gorrie walked us through the construction timeline. We are thrilled with the plans that will allow the Literacy Council to expand programs, enhance training, and increase learning capacity while remaining in our downtown home. We have said many times since the fire that this challenge has presented us with a wonderful opportunity – an opportunity to move beyond our footprint to expand our reach in the community, an opportunity to grow our programs and serve more individuals than ever before. We could not achieve any of this without the wonderful support of this amazing city. We appreciate everyone who has reached out to us and donated to our capital campaign. We count each and every one of our donors among our blessings. 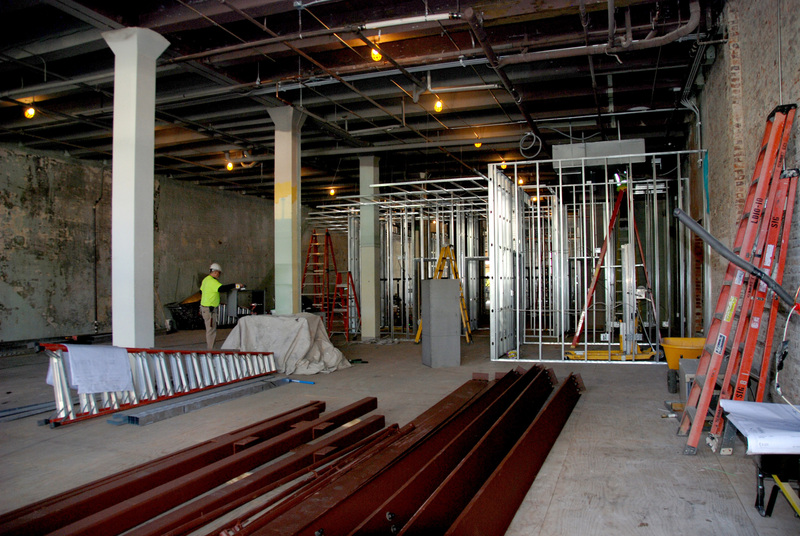 Stay tuned as we update you on our construction progress and milestones. We hope to be in our new home just in time for the holidays. It has been a crazy summer here at TLC, but our tutors are still tutoring and learners are still learning! It takes more than a fire to keep the dedicated staff, volunteers and students from our mission. Thanks to all of you who have reached out these past few months to offer your support, encouragement, and well wishes as we work to rebuild our space and replenish all of the materials, books, furniture, computers, etc. that were lost in the disaster. We have officially kicked off a Capital Campaign to raise $500,000 to help us create the Literacy Council Life-Long Learning Center. This money will be used for the renovation of our office space on First Avenue and for program expansion. When all is said and done, our space will be almost twice as large and will include a brand new GED and life-skills computer lab, state-of-the-art training classroom, private tutor carrels, and a new library. This increased space will allow us to expand our programs and reach more students with a wider variety of educational opportunities. 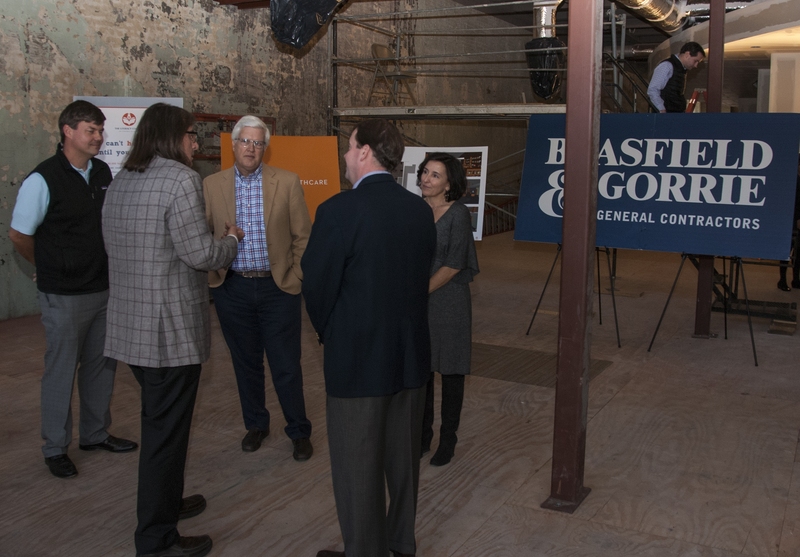 A huge thank you goes out to the architecture firm of Goodwyn Mills Cawood and contractors Brasfield & Gorrie for assisting us with this renovation project. Another thank you goes to the corporations and foundations who have already pledged their financial support. We are blessed to have such great corporate partners in the Magic City! Keep an eye on our website next week for a sneak peek of the plans for the new building! You can help us achieve our $500,000 by making a tax-deductible gift today. Click on our DONATE button on the right side of this page to make an online gift. For other giving options, click on the GIVE link above or call us at 205-326-1925. Thank you again for your support. 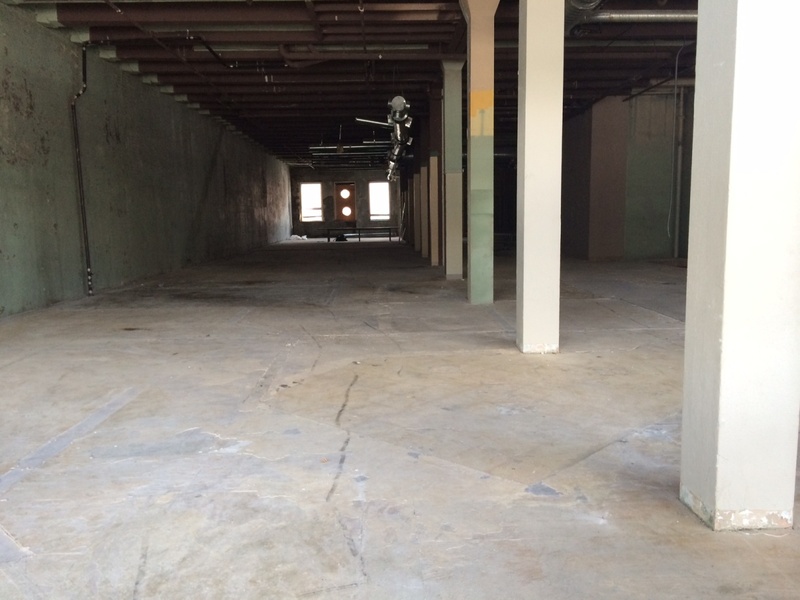 We look forward to showing off our new space later on this fall! We’re one step closer to resuming normal operations! Yesterday we moved into a temporary space. While we continue planning for our future, we once again have a central location to teach adults to read and speak English. 2218 2nd Avenue North meets our most important need of providing a space for our learners and tutors, as well as Team TLC, to work together. One block over and half a block down from our 1st Avenue North office, this space was the best alternative as it is easily accessible for our learners and tutors. There will be more announcements about our future in the coming weeks. Continue to watch this section of our website and our Facebook and Twitter feeds for news and information. Thank you again for your understanding and patience during this time. These challenging times provide new opportunities for us. Your support has been very important and will continue to be as we move forward. I’m here to tell you, Team TLC has great hope! The fire last week at Liberty House was a tragedy, but since then we have been surrounded by the strength of our friends in the community and we’re working hard to resume normal operations as soon as possible. 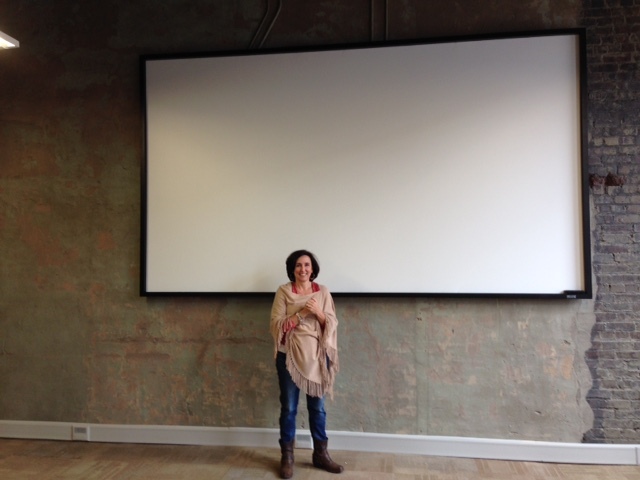 On Tuesday we began touring temporary space for our tutors and learners to get back to the business of learning. Our office staff has been on the job since Day One recovering anything that wasn’t damaged, contacting learners and tutors to keep them informed, fielding phone calls and doing everything possible to keep our end of the business running. I’m so proud of this team. Our board has been active, too. They jumped in full force the moment the first email went out. They have been amazing. The most overwhelming show of support has come from our friends in the community. From the lady down the block from our office who dropped off water and snacks, to the folks calling us offering temporary office space, to the ones who simply called or emailed to lend their prayers and moral support; the kindness and caring has touched our hearts. We are blessed. There will be many updates in the coming weeks. Please continue to visit this website, our Facebook page and Twitter feed for the latest information. On behalf of the staff and board of The Literacy Council, thank you for your prayers and support. Tutor orientation scheduled for 5:30 p.m. on Thursday, June 5 will take place at an alternative location. Orientation will be held at the Hoover Public Library. It will be in the Adult Programming Room located across from the Nonfiction Department at the back of the mail floor. The library is located on Municipal Drive, Hoover, AL 35216. Don’t forget that you must RSVP to Linda DeRocher (lderocher@literacy-council.org) to attend. Due to destruction from the fire at the Liberty House Lofts, The Literacy Council is suspending operations for the week of May 26th (May 26 – 30). Plans are already underway to provide temporary space for our learners and tutors to continue their work as they are our greatest priority. Please visit this web page and our Facebook page for updates.